Menueta | Zonyxa. Unique and contemporary jewellery for Work. Love. Play. 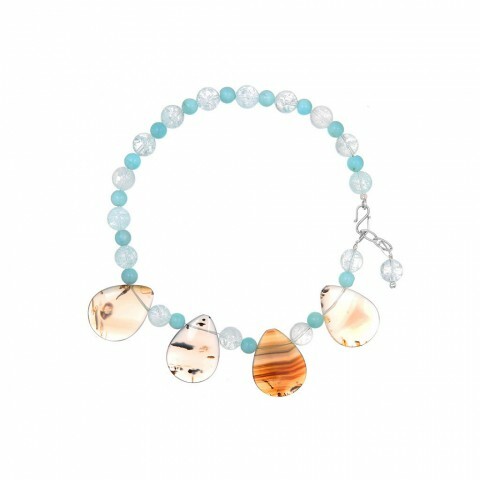 Beautifully pear shaped Montana moss agate, combined with polished rounds of amazonite and crazed ice quartz. It feels smooth and cool against the skin. A perfect necklace for hot summer days or nights. Alternatively, it can be used as an adjustable length bracelet.